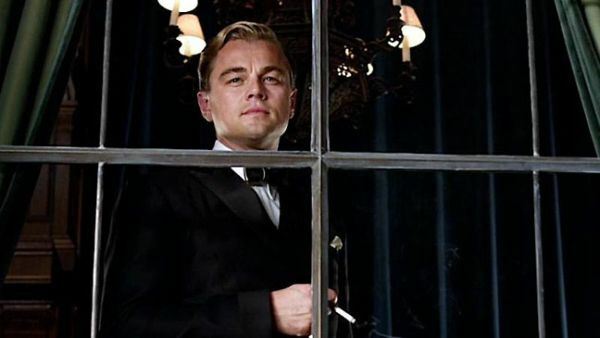 Next week, Leonardo DiCaprio is playing the title role in Baz Luhrman’s ambitious take on The Great Gatsby. This feels like the perfect time to look back at my favorite performances from his career. After appearing in Growing Pains, DiCaprio earned rave reviews and an Oscar nomination for his role in What’s Eating Gilbert Grape. He does a good job in a part that could easily get painful, but that character didn’t even make my list. That fact is a testament to the strength of DiCaprio’s career, especially during the past decade. My list is very Scorsese-heavy, which might seem predictable but shows the success of their collaborations. They’ll return later this year with The Wolf of Wall Street, and I have no doubts this will be another remarkable project. DiCaprio has overcome his baby-faced looks and developed into one of the most interesting actors working today. I had read Dennis Lehane’s novel prior to seeing the movie and had built preconceived notions about the main character. Thankfully, DiCaprio is perfect for the tricky role of Teddy Daniels and captures his growing mania just right. A less charismatic actor could have lost the audience, but we’re right with him until the end. The final revelations are heartbreaking, and the main reason is DiCaprio’s performance. The directing is a bit overdone by Scorsese, but his lead actor sells the pulpy material and never lets him down. Following the success of Titanic in 1998, DiCaprio struggled to make the transition towards grown-up performances. The Beach was a failure, and audiences hadn’t accepted him as more than a romantic lead. This changed with Gangs of New York, his first collaboration with Scorsese. Daniel Day Lewis steals the film, but the story only works if we care about Vallon’s quest for revenge. DiCaprio sells his determined attempts to avenge the death of his father in the midst of a corrupt society. Scorsese trusts his lead to play grittier material and showcases a dark side that would really come to fruition in their future projects. DiCaprio’s next project was playing the lead in Spielberg’s entertaining look at a very crafty imposter. 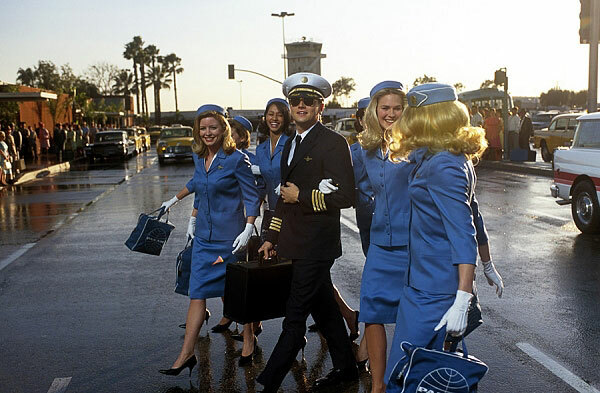 Frank Abagnale, Jr. morphs into a variety of jobs and sells each one with his natural charisma. It takes an actor with a believable likability to make us root for his ploys to succeed. We’re not judging him for taking these chances and don’t want Tom Hanks’ FBI agent to catch him. This is one of Spielberg’s more graceful films yet delivers more heft than you’d expect. DiCaprio embodies this chameleon and sells each persona to both the other characters and the audience. That’s no easy feat. When the Oscar nominations were released earlier this year, the biggest acting omission for many was DiCaprio’s scenery-chewing role as Calvin Candie in Tarantino’s latest epic. I recently caught up with this performance, and it lives up to the hype. He owns the screen and is such an unpredictable character that we’re unsure of what he’ll do next. Candie’s stand-off with Christoph Waltz’s Dr. Schultz is a classic showdown and reveals two fine actors working at the top of their craft. DiCaprio is typically a reserved performer, especially in his more recent parts. It’s refreshing to see him let loose for a director who loves going way beyond our expectations. Candie has fairly limited screen time but is one of the highlights of a movie filled with grandiose moments. Jack Nicholson gets the flashiest performance in Scorsese’s gangster thriller, but it’s DiCaprio who creates the most interesting character. He shows the challenges of constantly being fake and finds himself getting lost in the criminal enterprise. Billy’s police superiors give him little respect and often treat him like a bad guy, which makes the situation even more distressing. DiCaprio depicts the determination and focus required to match wits with a paranoid guy like Nicholson’s Frank Costello. Although the story is adapted from the excellent Hong Kong film Infernal Affairs, DiCaprio makes this character his own. The original part was played brilliantly by Tony Leung, so it’s no small feat to follow in his talented footsteps. When film lovers discuss the best Scorsese films of the past few decades, they rarely mention his sharp biography of Howard Hughes. The Aviator effectively presents both the highs and lows of that eccentric visionary. 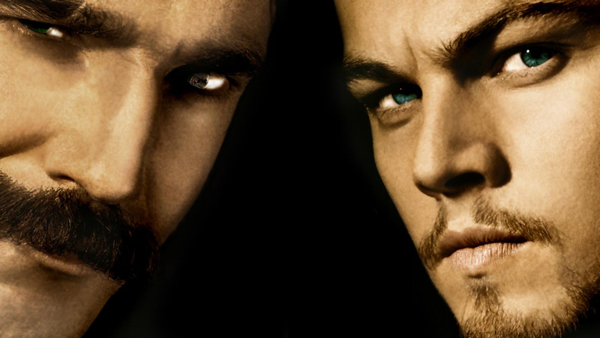 DiCaprio uses both his star power and dramatic chops to play the different sides of Hughes’ personality. It doesn’t feel like he’s reaching to play such a magnetic individual. Depicting a guy with obsessive-compulsive disorder without going over the top is very difficult. The movie has excellent production values, but it only works if we believe DiCaprio as Hughes. His success remains the high point of his career and deserves a lot more recognition as a standout performance. I'd love to hear your thoughts about this list. Does Arnie Grape deserve more consideration? You should also check out my past Top 5 Lists if you've missed them. Personally I would've included Arnie Grape, but then again I haven't seen The Departed, Catch Me If You Can and Gangs of New York. I agree on The Aviator and Django though - awesome performances. But I've liked DiCaprio in anything I've seen him in, be it Romeo+Juliet or Revolutionary Road. Mette, I can't argue with putting Arnie Grape in there. It was a career-making performance and deserved the acclaim. It's tricky for me because I admire his work in this film, but it's his more recent work that sticks out when I think of my favorite performances. If you get the chance, I'd highly recommend that you check out the other films, especially the first two that you list. Gangs of New York is well-done but not as universally loved as the others. He's a great actor who gets a lot of flack nowadays for weird reasons. Great write up! 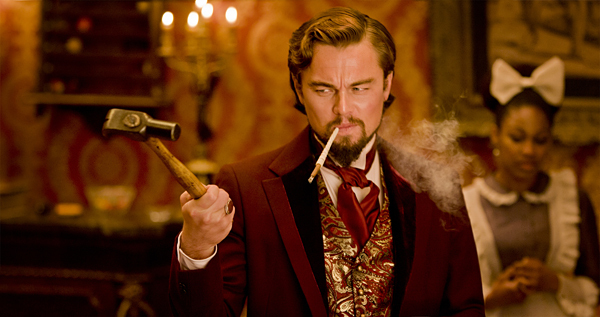 I need to see Django, so maybe his Candie will make my top five after I've seen it. Revolutionary Road is one of the few DiCaprio films that I haven't seen, but I expect it would show up on a lot of lists. I also did like his performance in Romeo & Juliet, which is a fun take on the classic story. I did feel like he got a lot of flack for a while, but it's turned a corner in the last few years. I think working with people like Scorsese and Tarantino helped a lot. But seriously, I could just as easily include Revolutionary Road, The Aviator or Catch Me If You Can. The fact that you mention several movies that haven't come up on my list or others' comments shows the diversity of his career. I wasn't thrilled by Blood Diamond but still thinks he did a good job. Inception is tricky because it's hard for the actors to not get overwhelmed by the concept and the effects. I think Leo holds his own and doesn't get pushed aside. Great list! I haven't seen The Aviator or Gangs of New York quite yet even though I've pick up both movies for my goal of watching all of Scorcese's movies this year. From everything I've seen I would probably include Arnie Grape, Frank Abagnale, Billy Costagan, Calvin Candie, and it's a toss up tie between Jack Dawson/Romeo because they both have the 90's young Leo handsome charismatic romantic lead going for it. It's classic but they aren't really that different when it comes down to it. He's certainly one of my favorite actors and hopefully he'll be award that Oscar before they have to make it up to him with an honorary lifetime achievement type thing when he's super old. Jess, it's great that you're going to check out a lot of the Scorsese films including those two strong choices. I'll be interested to find out what you think of some of his smaller gems. I've seen nearly all of this films, though I still need to check out The King of Comedy, New York New York, and a few really early movies. It sounds like we'd have a lot of the same picks from the performances that you've seen. I don't have a problem with his '90s romantic lead parts, as he does the best he can in that spot. They just fall a bit short of the best examples for me. Wow! I have no idea how I will rate his performances but he does have so many good ones to choose from. It is quite a task and you have done a great job. All the performances you mentioned are truly great. Since you haven't seen Revolutionary Road, I can certainly recommend that one. DiCaprio and Winslet both were truly amazing in it. I, myself, have to catch up with What's eating Gilbert Grape? 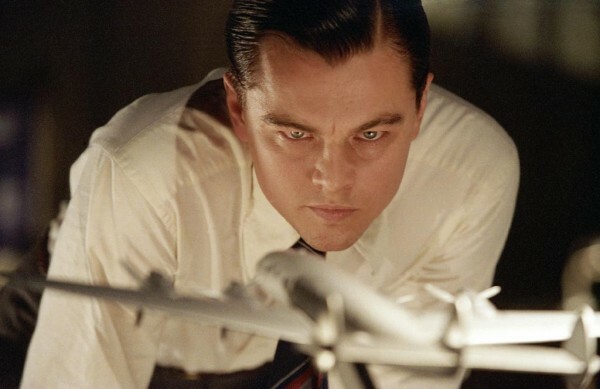 I need to watch The Aviator as well, haven't seen it since 2004-05. Thanks. Revolutionary Road is on my list to check out at some point, and all the praise in the comments just reinforces that fact. It wasn't easy to pick the top five, but I'm pretty happy with the way it turned out. I have nothing against Titanic; I just don't think it's one of DiCaprio's best performances. Nice picks Dan. Surprised to see his performance in Gangs of New York on here, but it's an intriguing choice, nonetheless. Thanks Josh. Gangs of New York is a tricky one. I think the movie has flaws and is too long, but I don't fault DiCaprio for its issues. He does a good job and sells the role for me. How can you not have The Man in the Iron Mask. Leonardo plays the king spectacularly. It's an oldie but, a goodie. Definitely deserves a rewatch if you haven't seen it recently. It's an entertaining movie and Leo does a good job. The challenge is only having five spots. 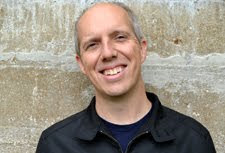 I think it's a solid adventure, but his work is just better the films that I chose. It's good, but I still don't consider it one of his best performances. 8. What's Eating Gilbert Grape? If one was to tell me at age 15-16 during that time when he was a teen heartthrob that was going to be one of the great actors of our time. I would've scoffed at that idea. He's becoming one of my favorites and snubbing him at the Oscars recently was just insulting. I'm with you in being surprised by his career. He always had charisma on screen, but the range has been the unexpected part of it. Good list! My two favorite DiCaprio performances are your first and fifth. Both films are completely underrated in my opinion--I loved The Aviator far more than I thought I would. I'm a little surprised to not see What's Eating Gilbert Grape here, but I can't fault your choices. Steve, it's cool to hear that you're also such a fan of The Aviator. While it received a lot of acclaim and Oscar consideration when it was released, I feel like it's slipped into the background in both Scorsese and DiCaprio's careers. Good list here man. Can't really argue too much but I'd still have his role in What's Eating Gilbert Grape as my number 1. Really enjoyed him in This Boys Life as well. Thanks Mark! It's possible that What's Eating Gilbert Grape would move onto the list if I watched it again. I like the movie a lot, but there just wasn't enough room on this list. Great list here, Dan. Like a few other commenters, I highly recommend Revolutionary Road. That would have to be my favorite DiCaprio performance, with The Departed at a close second. Alex, it's sounding like I really need to check out Revolutionary Road, which should be a no brainer since I'm also a big fan of Kate Winslet. I was lukewarm towards checking it out when it was released, but I should give it a shot. Thanks!